Zebelini gave Ilka Gansera-Leveque her first winner of the season when outrunning odds of 40-1 in the At The Races Sky 415 Maiden Fillies' Stakes at Ripon. The daughter of Zebedee was given a positive ride by Lemos De Souza and she stayed on well to hold Zuzinia by a neck. The Newmarket-based handler told At The Races: "Racing definitely has it's ups and downs and that's a nice change for us as we lost a horse on Sunday and now we have a winner. We all had very high hopes for her and a lot of confidence going into this race. I thought she was going to be my Royal Ascot filly, but things went wrong for her and she had a growth spurt. I always thought she was nice, ever since she stepped off the lorry, and we'll maybe find her a race at Ayr now given the owners, Lamont Racing, are Scottish based." This daughter of first season sire Zebedee out of an unraced mare was purchased as a yearling by Linda Saddler Bloodstock for 5,500gns from Tattersalls October Sale 2013. De Souza, who was having his first ride at the North Yorkshire track and is based at Luca Cumani's yard, said: "She's been working very well at home, so I was pretty confident on her today." Visit Ilka Gansera-Leveque website here. 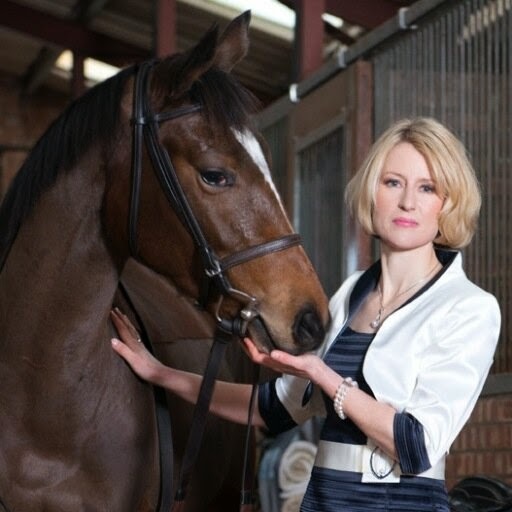 Read this great article by Lissa Oliver and learn more about this talented trainer.